NEEVA (Norden Environmental & Economic Village Association) is a group comprising businesses and retailers in the Norden area. 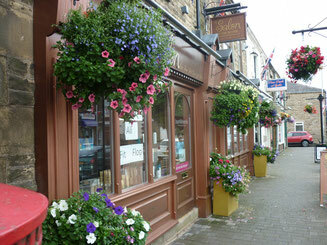 NEEVA hold regular meetings and work to encourage the support of Norden’s highstreet, retailers and business community. Past projects that NEEVA have funded include the hanging basket display, Christmas lights and two benches which are located on the wide part of the highstreet.